WAHL Corded Color Pro 20-Piece Color Coded Haircut Kit Just $16.99 (Reg. $30)! 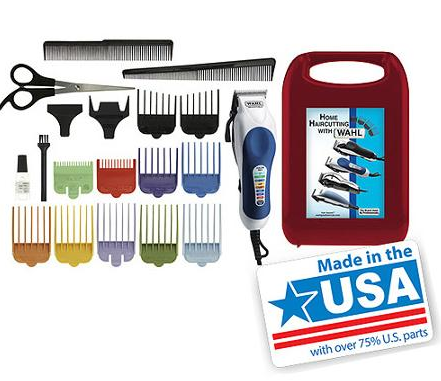 You are here: Home / Great Deals / WAHL Corded Color Pro 20-Piece Color Coded Haircut Kit Just $16.99 (Reg. $30)! WOW! Right now, you can snag this awesome WAHL Corded Color Pro 20-Piece Color Coded Haircut Kit for just $16.99 (Reg. $30) + possible FREE store pickup if available in your area (just enter your zip code to check)!